The Intrepid Camera is a high quality and affordable 4x5 field camera, it's light weight, packed with features and capable of creating breath taking images. 495 backers pledged £63,158 to help bring this project to life. The Intrepid Camera Company was born out of a genuine fascination and love of large format photography, with our first product being the intrepid 4x5 camera. The Intrepid 4x5 camera is a redesign of the traditional large format camera; these cameras have their origins at the very beginning of photography; pictures were made onto glass plates that required the sitter to stay still for minutes at a time. In the 1930s-50s they became the go-to camera for press photographers and artists, with American photographer Ansel Adams becoming a pioneer in landscape photography. Since then this branch of photography has defiantly continued to produce some of the most important and beautiful pictures ever created. It has resisted the digital revolution and continues to attract new, passionate photographers despite the technology being over 100 years old. This attraction is for one simple reason, large format photography is as far away from digital photography you could possibly get, there is 0% automation, your camera does not have a microchip for a brain. It has you. It is entirely pure photography and allows maximum creative freedom. The large format camera is a tool for art, not convenience. The images have warmth to them akin to the sound of a vinyl record, and a quality to them you just can’t quite put your finger on. So maybe it isn’t one simple reason, maybe I don’t really know exactly why these cameras are so special. I do however know they are manifestly important to the future of photography, and to us! So why redesign this ‘perfect’ camera? Well, we feel there is a need for an affordable non second hand camera that is simple to use, lightweight, compact, and most of all a great tool to get new photographers passionate about large format photography. This fantastic art form will only live on if people continue to discover and enjoy it. I hope the Intrepid Camera can help people do just that. Final camera will be made from high quality Birch Ply Wood milled using a CNC Router with Aluminium supports and hinges, so it will look slightly different to the one above. Ground Glass focusing screen that lets you compose and focus your image by moving the lens with the rack and pinion mechanism. Takes 75-300mm lenses in Linhof/Technika style lens boards. Full movements on the front standard. The design gives the camera excellent strength and rigidity, whilst keeping the weight low at around 1.2kg. 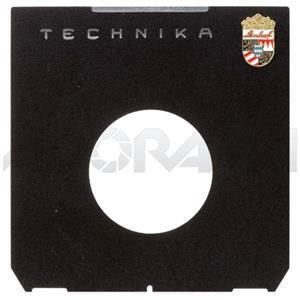 Compatible with standard film holders as well as the 405 and 545/545i (if funding is successful some of the funds are earmarked for the development of a Graflok back). Choice of four bellows colours Black, Blue, Red and Green. Please note the camera does not come with a lens, please see the lens buying guide bellow for help. Camera folds down to 190mmx190mmx120mm. Compact and light weight enough to not be a burden whilst out in the field. 4x5 is an amazing format. The film comes in sheets that are much larger than your standard 35mm- 13x larger in fact. This lends an incredible amount of clarity and depth in your images. The film would be considered "HDR" in the digital world due to the amount of detail it can capture. 4x5 film is still produced and readily available all over the world, with Ilford, Fuji and Kodak manufacturing some of the most high tech films that have ever existed. We have kept the rewards simple; two products in a few different ways. However if there is something you would like to see or think we have missed, get in touch! It all helps! With this pledge you will be added to the mailing list, receive updates about the project as well as a credit on the website and we will be forever grateful! A B6 size notebook designed specifically for analogue photographers, so you can make notes in the field and darkroom. Two B6 size notebooks designed specifically for analogue photographers, so you can make notes in the field and darkroom. Super Early Bird Intrepid Camera; the final production model of the camera at a special price for getting here first! One of the first 10 Intrepid 4x5 Cameras with custom engraving on the camera, as well as a special mention on the website. The model number you receive will be on a first come first serve basis. We have come a long way with the design of the camera since this project first started over a year ago, but to bring it to a stage where we can finally share it with you we need some help. If we are successful here it will allow us to set up the workshop and buy the equipment we need to produce the cameras economically. It will also allow us to develop new exciting products for the large format community, including products like an 8x10 camera and range of film holders. So check out these websites for information and prices. In all honesty you can't go far wrong getting any Schneider, Rodenstock, Fuji or Nikon Large format lens. As long as it is between 75-300mm, in good condition and mounted on a Linhof/Technika style lens board, it will be a fantastic place to start. We have been working on the design for over a year now and will continue to do so as the Kick-starter runs. This being said there are elements of the design that can only realistically be tested once we have been funded; for example changing the support struts and hinges to aluminium instead of wood. The manufacturing method has been tested on a small scale, but obviously not on the scale that will be required if we are successful. However this has been very thoroughly worked out and we are confident it will scale up with no big problems. As with all Kickstarter projects, customers are exposed to the process of product development and this has its risks attached. Saying that, we are fairly late on in the product development stage, which gives us slightly more confidence in when we can deliver this product. We feel that four months after receiving the Kickstarter funds is realistic. It all helps! with this donation you will be added to the mailing list, receive updates about the project as well as a credit on the website and we will be incredibly grateful! 1x Photographer's Notebook. A B6 size notebook designed specifically for analogue photographers, so you can make notes in the field and darkroom. 2x Photographer's Notebooks. A B6 size notebook designed specifically for analogue photographers, so you can make notes in the field and darkroom. Super Early Bird Intrepid Camera, the full production camera at a special price for getting here first! Available with Black, Red, Green or Blue Bellows. The full production Intrepid 4x5 Camera with a copy of Photographers Notebook. Available with Black, Red, Green or Blue Bellows. One of the first 10 Intrepid 4x5 Cameras, with a copy of Photographers Notebook. Available with Black, Red, Green or Blue Bellows. Your Name engraved on the camera, as well as a special mention on the website.